We have teamed up with the lovely people at Lonely Planet to give away 3 copies of their latest cookbook, Italy From the Source. We share our own recipes made by our local chefs in Italy. These authentic and regional recipes are taught to guests on our cooking holidays. At the end of the holiday, guests receive their own copy of the recipes, meaning you can recreate the dishes you learnt at home. 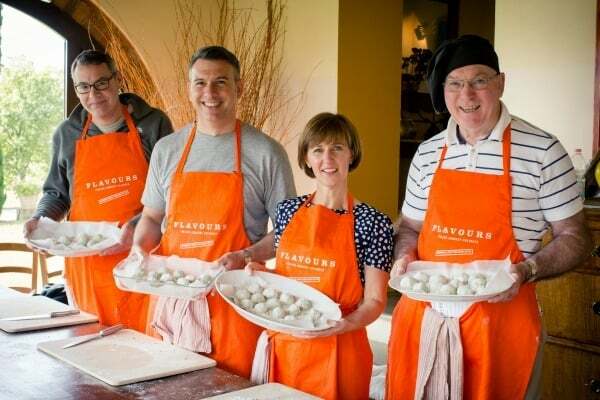 It’s also an opportunity to show off your new skills and recipes to friends and family when you return from Italy. We have read Italy From the Source and it really is a beautiful collection of authentic recipes from the top to the toe of Italy. Much like our own recipes, these are not typical Italian dishes but ones you find in the homes of Italians. We highly recommend! To win a copy of this fabulous book and a Flavours hamper, we would like you to choose one of our recipes from our blog and recreate it at home. You can even add your own twist. The recipes used must come from our website and please name the dish. Entrants to this competition must have a UK postal address. Sorry! Competition Time – LOVE ITALY Giveaway! Competition Time – Italian Cookbook Giveaway!